Auschwitz-Birkenau was the largest of Nazi Germany's concentration camps and extermination camps, operational during World War II. The camp took its German name from the hosting town of Oświęcim. Following the German invasion of Poland in September 1939, Oświęcim was annexed by Nazi Germany and renamed Auschwitz, the town's German name. Birkenau, the German translation of Brzezinka (birch tree), refers to a small Polish village nearby which later was mostly destroyed by the Germans. The camp commandant, Rudolf Höss, testified at the Nuremberg Trials that up to 3 million people had died at Auschwitz. The Auschwitz-Birkenau State Museum has revised this figure to 1.1 million, about 90% of whom were Jews from almost every country in Europe. Most victims were killed in Auschwitz II's gas chambers using Zyklon B; other deaths were caused by systematic starvation, forced labor, lack of disease control, individual executions, and purported "medical experiments". In 1947, in remembrance of the victims, Poland founded a museum at the site of the first two camps. By 1994, some 22 million visitors - 700,000 annually - had passed through the iron gate crowned with the motto Arbeit macht frei (Work brings freedom). The anniversary of the liberation of Auschwitz by Soviet troops on January 27, 1945 is celebrated on International Holocaust Remembrance Day, Holocaust Memorial Day in the United Kingdom, and other similar memorial days in various countries. 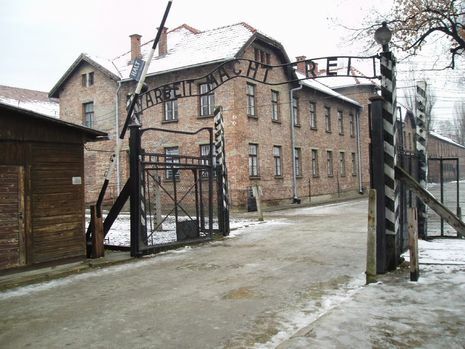 Auschwitz, located in Oswiecim outside of Cracow, Poland, has become a symbol of the Holocaust. One of the main reasons that Nazi Germany established the camp there was because it was a central intersection of roads and railways. Before the Second World War, Jews living in Oswiecim, who were often artisans or merchants, constituted approximately half of this small town's population. 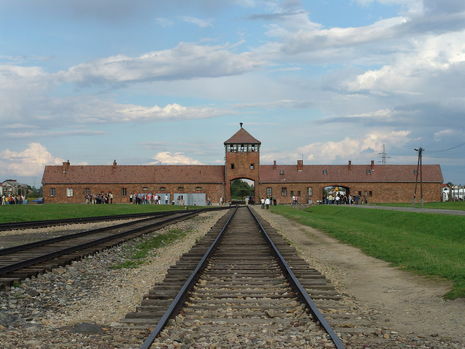 After the Holocaust, it may be argued that Oswiecim will forever be overshadowed by Auschwitz-Birkenau, the largest of the Nazi concentration camps and extermination centers. 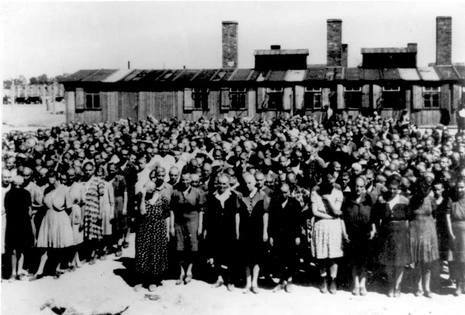 Auschwitz accepted its first Polish prisoners on 14 June 1940. It was a surprising beginning for a place later so associated with the Holocaust, because the original purpose of Auschwitz was not to exterminate Jews. Auschwitz is unique in the Nazi system as it was a hybrid camp in the sense - that it was a concentration camp which became a huge labour camp and also become a death camp. So all three main functions of the camp system are combined in one. it is significant that Auschwitz, in a way, follows behind, in scale, what is happening elsewhere. It is only in 1944 with the arrival of the Hungarian Jews that Auschwitz becomes the site of the largest mass murder in history. It is then that Auschwitz becomes the physical embodiment of the fundamental values of the Nazi state.